Am slightly ambivalent about these Tribute Band things. There are so many of them about these days that I suppose some of them at least, must be doing something right. I should imagine they service a need on a number of levels, really. At their most fundamental they offer fans of long gone (or long past their best) bands the opportunity to hear music performed live they may not otherwise hear. The long-running Australian Pink Floyd Show for example falls into this category, I feel. A number of tribute acts go a step further and will dress up and indeed act like the individuals they are paying tribute to, thereby one imagines, heightening the experience. Taking this to its extreme I have heard tales of Elvis impersonators so convincing some fans for the brief period of the gig actually believe they are in the presence (ot at least the spirit) of The King himself. I would suggest The Bootleg Beatles fall somewhere between these two ends of the spectrum. 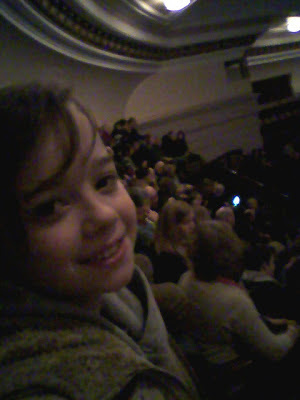 Daughter and I went along to see the BBs, partly because my Brother had for years been banging on about how good they were, but mainly because Daughter during the regular archaeological digs into my MP3 player had unearthed Beatles’ tunes she really liked: Help, Octopus’s Garden, I am The Walrus and most especially Here Comes The Sun. We had left things quite late to obtain tickets so ended up with seats high in the second balcony, probably as far from the stage as one could be. But this, conversely, I found not to be a bad thing; because from our distance the BBs were pretty much indistinguishable from the real thing. Something I only realised when we bought seats much closer the stage the following year, and could see the facial similarities were tenuous at best. This 2010 show began with a short slide show depicting news footage from the early 1960’s before the BBs opened with I Wanna Hold Your Hand. And, if one could ignore Bootleg Paul playing his Hofner violin base right-handed the verisimilitude was flawless, even down to the gracious bow at the end of each song. The set followed a chronological order, with the group nipping off to change costumes on a couple of occasions, so we were treated to the lads in their collarless suits, the Sgt. Pepper bandsman uniforms before, finally, the Abbey Road album sleeve casual-wear. For the second half of the set the four BBs were joined by an eight-piece mini-orchestra, to help beef out the renditions of the more complex later songs. Highlights were Day Tripper (rocking out as I am sure it never did when the real ones performed it), Penny Lane, A Day in the Life and I Am the Walrus. The show closed with the probably obligatory sing-along to Hey Jude; the encores being a poignant Happy Xmas/War is Over followed by a barnstorming Back in the USSR. If I had one criticism (less a criticism than an observation) it was that the strict adherence to chronology interrupted the flow of the show a tad. The less self-conscious members of the audience would just be getting up to dance to the likes of Day Tripper and Paperback Writer…… and then along would come Yesterday, and everyone settled down once more. Having said that, Daughter and I both had such a great time we decided there and then to come back the following year.